Our annual Toys for Tots drive is in full swing. We give 20% off all toys purchased at Becky & Me Toys to be donated to the Toys for Tots bin. Or you can just drop off other toys in our bin. (Of course we prefer the former!) The Marines are so dedicated to this project which benefits many less fortunate children. Chanukah starts on Wednesday. We have a wooden Chanukah set, Chanukah books, Chanukah kaleidoscopes and 3D glasses, and Chanukah stickers. And then there’s always our wonderful selection of toys, games, and books for all occasions. We’d love to help you pick out the perfect gift for the special kids in your life. It’s Small Business Saturday! You’ll help your local economy today and everyday that you choose to shop at a small, independent business rather than online or in big box stores! Hope to see you at Becky & Me soon! Want some laughs this holiday? Play Truth Be Told with your family and friends. It’s the “laugh out loud, pretend to know your friends” party game. 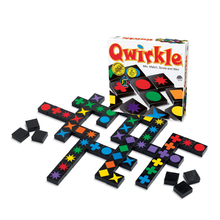 View a Qwirkle video here on Mindware’s YouTube channel! Recently on WGN’s Midday News, the folks from Kidwinks.com talked about their favorite toys from this weekend’s Chicago Toy and Game Fair. Among the highlighted games were Word on the Street Junior and Triviathon, which can be found right here at Becky & Me Toys. You can also see some of our other favorites including 7 Ate 9, AnimaLogic, and Sturdy Birdy on display in the background of the video! Watch the video from WGN here! Dare to discover “Forbidden Island”! 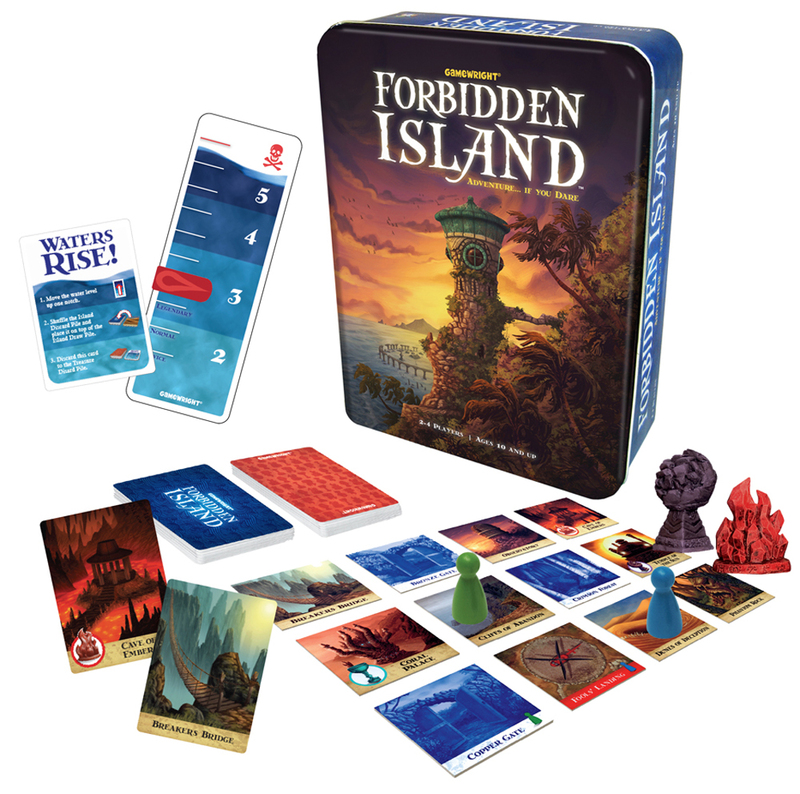 Forbidden Island is the great new cooperative game for kids ages 10 and older! Play as a team of adventurers trying to collect the four treasures of the island before it sinks below the ocean. Because of the way it is set up, the island will present a different challenge every time you play. To win the game, all players have to work together and use their characters’ special abilities strategically. We love Forbidden Island and we hope that you will too! Posted in Uncategorized. Comments Off on Dare to discover “Forbidden Island”!